Currently 832 visitors online at SuggestADoctor.com. Great experience. Dr Galandauer was very personable and the appt was on time. Very Grateful for Dr. Kevin Lam for taking the nail biopsy, what I thought was just a discolored, ugly nail turned out to be a malenoma, currently undergoing treatment at our regional cancer center. Dr. Lam saved me life, I can't say enough good things about him, he made feel comfortable and confident in his care. My family and I both appreciate his prompt attention getting the necessary test to save my life. My understanding that these cancers under the nail are deadly if caught late or not caught at all. Dr Gregg L. Friedman MD got my dog certified as a psychiatry Therapy dog for me. Super office and cool doctor. The office is pet-friendly too. 5 Stars. I recommend this place. Dr. White is phenomenal! He called me personally twice prior to surgery. He prayed with me before and after surgery. He called again from his home the night of my surgery to check on me. He is the most caring doctor I have ever met! Is this Review about Andrew WHITE helpful to you? I have gone to Dr. Gandhi for over 10 years. She has always listened to me no matter what I have had to say. She takes care of every concern and makes sure to put my health first. She did my hysterectomy recently and I am so grateful that she did. It was ugly in there. She has a great sense of humor and the best bedside manner. She wants me to be not just healthy, but happy. She is the greatest! Is this Review about Peahen GANDHI helpful to you? She is a Gynological Oncologist that has helped me through this stage of my life. once more pain started she kept looking more into what else could be wrong. we did eventually have to do the hysterectomy. She referred me to a local oncologist for my radiation Therapy. but will be going back to her once that is complete. she will then monitor me for more possible cancer for the next 5 years. She listens to everything and explains everything. she makes it so easy to not even have to ask your questions because she has answered them with her explinations. but even if you do have them she will answer them. She is a teaching dr so she does work with resident dr who often with be a part of your treatment. Is this Review about Kathryn PENNINGTON helpful to you? I went like year apart ended up with hysterectomy kept ovaries. First time I went non military doctor. Lived in the area for 4 years started having extreme pain. She was only Doctor that could get me in quickly and took insurance. So consider I was thinking there something severe and she was very generally concerned and I got a Ultrasound quickly. Didn't find anything. But a year later after having several large blood clots in 8 hours I was ready for hysterectomy. It has been one week and going from several and severe contractions to feeling great. I have had no problems afterwards I differently appreciated she doesn't believe in rushing one day surgery I spent one night in hospital. Is this Review about Vidya Nitin HATE helpful to you? Is this Review about Linda KODESCH helpful to you? Dr. Patrick is highly recommended. He has a wonderful office staff. Great bedside manner. He had provided general gynecologic care for me and several friends. He lost recently did my hysterectomy ending years of pain. Is this Review about Frank Thomas PATRICK helpful to you? I have tendonitis that kept on going back, despite the medications given me. A friend referred me to Dr. Kevin Lam, having had the same problem as mine. Dr. Lam did the the extracorporeal shock wave therapy (ESWT) treatment. I am very happy with the procedure since it was painless, quick, no incision needed, and I was able to return to work on the same day. He has got to be one of the most caring and knowledgeable doctors I've ever had the pleasure of being treated by. I was in excruciating pain caused by what appeared to be a small ingrown toenail. (Who knew that these things can be so painful?!) Dr. Petkov was not only able to treat it for me promptly and help me get relief, but he also made me feel very comfortable while doing so. I'd highly recommend him to anyone! We need more doctors like this in North NJ. I was diagnosed with Stage 4 ovarian cancer. I was very sick and not a surgical candidate at the time. Dr. Phibbs started me on a chemo regime that shrunk the tumors and allowed me to regain my strength. When I was strong enough for him to perform surgery 9 months later, there were no cancer cells found. Dr. Phibbs is an awesome physician and a gifted surgeon. Is this Review about Garth D PHIBBS helpful to you? My first visit was in March 2018. I am very appreciative that Dr. Tyler C. Ford, who is personable, professional, and knowledgeable, looked me directly in the eye during my initial and subsequent visits when talking with me. While working together through the well thought out health action plans to include various tests and surgeries, I experienced empathy, personable professionalism, and direct guidance to ensure the best treatment. Any questions or concerns during my journey has always been handled in a personable, empathetic manner. I highly recommend Dr Ford and his team of professionals at Virginia Gynecological Oncology. Is this Review about Tyler FORD helpful to you? I discussed my concerns with Dr. Beck . He explained everything in detail . I got Botox and restylane lyft. Dr. Beck and his staff were very friendly helpful kind and professional. I would recommend them highly to anyone . Thank you !! Dr. Kakani is very knowledgeable and detailed in every step of my diagnosis, treatment, procedure and instructions. Never felt this comfortable and confident in any doctor before. I was having problems with my left ankle for the past year. The pain has become worse that eventually I had to stop running and exercising. Dr. Lam immediately identified the tendon that was causing me pain. He recommended exercises, modifications, and arch supports that worked so well for me. I appreciate that he did not jump to doing surgery without trying the other options first. Not long after, I was back to being active everyday and thanks to Dr. Lam, I understand my situation better, the exercises I can do, and grateful that I am not limited physically. This review is long overdue, and I can't say enough good things about Dr. Lam. Dr. Brulja is the doctor that performed my hysterectomy and provided my care before surgery. Her ability to explain her processes and deliver not always good news in such a supportive way is unmatched. The care she offers is complete and she doesn't dismiss concerns. She is always happy to discuss information that you may have researched yourself and bring in additional material for your review. I was clearly informed before, during and after my treatments and procedures. 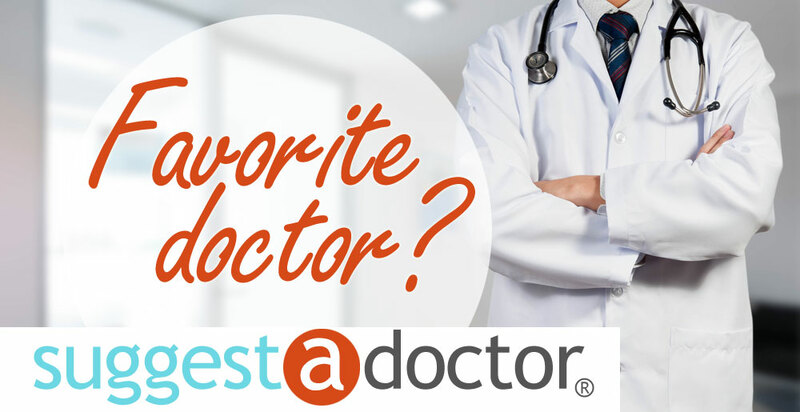 It take a lot of stress off to know for sure that your doctor is truly providing you with the best care options possible. Is this Review about Mary BRULJA helpful to you? Is this Review about Edward Jr BLACKMON helpful to you? Asked all pertinent questions. Suggested blood work and MRI. Very thorough.